Ever since taking up the pen (so to speak) and diving into the writing world myself, my time for reading has been greatly lessened. It’s a shame, but sadly there are only so many hours in the day. However, that doesn’t mean I don’t still love to read, quite the contrary. Thus, outside of the occasional book I might sneak in here or there, I make it a point to read at least two books whenever I finish a project. This serves as reward for completing a new book, a respite until my next project starts, and of course a chance to enjoy another author’s works. As I have just recently finished my latest novel, Bigfoot Hunters, it was time to sit back, relax, and let someone else take me away for a while. Sadly, the two books I picked for my break this time were both excellent. Why is this sad? Because it means I dove right in and finished them both far faster than I had intended. Oh well! If that’s my biggest complaint, I guess things can’t be all that bad. Here is my review of both books. The Golden Sky is surprisingly good. Now, before you get in a huff at my usage of the word, it’s not because I had low expectations for it. I mean it in the context of myself being a person who almost never reads non-fiction. Seriously! Never touch the stuff. Why? It’s simple. I usually find it boring, at least compared to the usual fare I read (i.e. vampiric alien ninjas). That being said, I see now that it’s all in the storyteller. Some people could make an account of James Bond-esque proportions seem as dry as toast. Others could talk about their trip to the local convenience store and have it come across as an epic for the ages. I am happy to say EC Stilson is in this latter category. Why did I choose to read The Golden Sky? I’ve been reading the author’s blog at ecwrites.com for a while now. She has a fabulous way with words and updates her site with a frequency that makes me look like a pathetic slacker. If you haven’t checked her out yet, I highly suggest you do so (Just please don’t forget about poor little old me :). My choice to read The Golden Sky was simple. If she could breathe so much life and passion into 800 word blog posts day after day, then I had to wonder what she could do with a full length book. Needless to say, I was not disappointed. Now herein lies the conundrum for me. As a fiction reader, how do I critique a book such as this? Unlike the usual plots I read, can I actually criticize someone’s life and the choices they made? Of course not! Let’s not be silly. However, as I said before, it’s all in the telling. Stilson’s book is a memoir of her late son, Zeke, the events surrounding his life, and the lasting impact he had upon her family. It’s told in a voice that draws you in and makes you experience (as much as a third party can) every low and every high she and her family experienced along the way. The best word I can use to describe Stilson’s writing is empathic. Her writing conveys joy and anguish in a way that few people can do with their voice let alone with pen and paper. I dare say, if you can read this book without feeling anything, then I suggest your time would be better spent searching for Sarah Connor. “That’s it?” you’re probably asking. “Two measly paragraphs of review! ?” Why yes, because there isn’t anything else left to be said. This book was incredible. What more do you need to know? 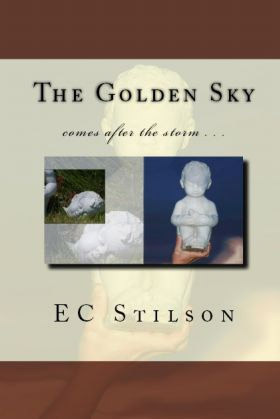 The Golden Sky is an excellent read! Only 5 stars because I can’t give it any more. If I had to sum up Broods of Fenrir in one sentence it would be: Forever Knight with werewolves. Forever Knight was a TV show a while back about a powerful vampire who chose to live amongst humans, but kept getting dragged back into the messes his “family” caused. It was never very popular, but it had a cult following. Personally, I loved the show. Thus, it was inevitable that I really enjoy Broods of Fenrir as well. Broods of Fenrir is the tale of Brand, the would-be king of the werewolves, who has forsaken his crown to live a simpler life. Why would he do so? Because the people he would rule are little more than animals. Imagine the worst traits of mankind mixed with the pack mentality of canines. Not a pretty picture is it? Nor does Moore paint it as such. It’s a brutal society where life is cheap and weakness is answered with suffering. Not even Brand himself is immune to these instinctual callings and, sadly for him, his family isn’t quite ready to let him go. 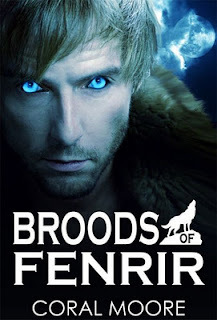 Broods of Fenrir is a fast paced horror-thriller with strong characters and lots of werewolf on werewolf violence to keep the story moving along. I greatly enjoyed it from start to finish. I do have a few critiques of this story, minor though they are. There are a few points in the tale where characters are introduced rapid fire, leading to a feeling of “Huh? Who’s that and where did they come from?” My second critique is that this story is fairly short. The werewolves in this tale are immortal (or practically immortal) and there’s a lot of history hinted at in the book. As a fan of the original Highlander, let me just say I love flashbacks. I would have liked to have seen a few more glimpses into their back story. On the other hand, the author definitely leaves herself with plenty of material for future books if such is her plan. 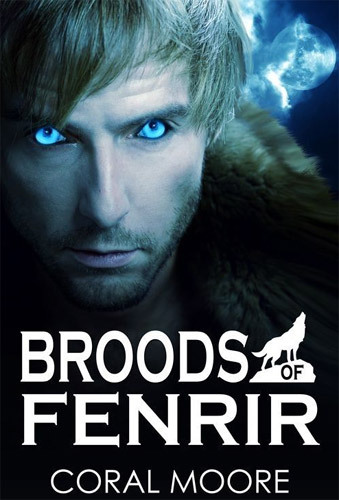 As a minor side note, I will just say that Broods of Fenrir is beautifully edited. Over the past couple of years, I’ve come to expect books (even professionally published) to have a few typos or formatting errors here and there. I don’t think I spotted a single thing in this book. This doesn’t’ have anything to do with the story, but kudos to the author and her team (she lists her contributors in the back of the book...and I dare say it’s tempting to hire her editor) for putting that little bit of extra polish into this. 5 Stars! All the werewolf angst you could possibly crave, wrapped in a grim, gritty adult setting. I haven't heard of the Broods of Fenrir, but The Golden Sky was a great read. Heartbreaking, but great. Quite true, Joshua. Couldn't agree more. Rick, wow! You are an awesome book reviewer. Quick and to the point you relay all that ova potential reader needs to know. Love it. You really should be getting paid for this stuff. Wait ... I think I hear Hollywood calling. They could certainly use a guy with your skill set! Thanks for sharing. Great to be here. Thanks for the awesomely kind words, Tammy!